Get the detailed system configuration information you need, when you need it. Empower the whole team with customer knowledge: account management, sales teams, and on up to the C-suite have now easy access to the vital stats of a customer in a simple dashboard for health checks and rapid periodic business reviews. Up-to-date counts from the managed systems for quick reconciliation against what's billed to the customer. Grow your customer relationship by providing the knowledge each team member needs to provide value. Metrics eliminates the need to escalate to engineers to get the vital stats of a customer. All the critical data of a customer is shared through your MSP on a single dashboard. The metrics feature track and report on statistics like a customer’s most and least active users, or when the subscription-based products they use are slated to expire. You can define your own metrics based on any variable Roar collects or draw on a menu of pre-supplied metrics. One of the most powerful use cases for metrics is to provide your finance and accounting teams with direct visibility to the most up-to-date counts for services, licenses, and users you manage. 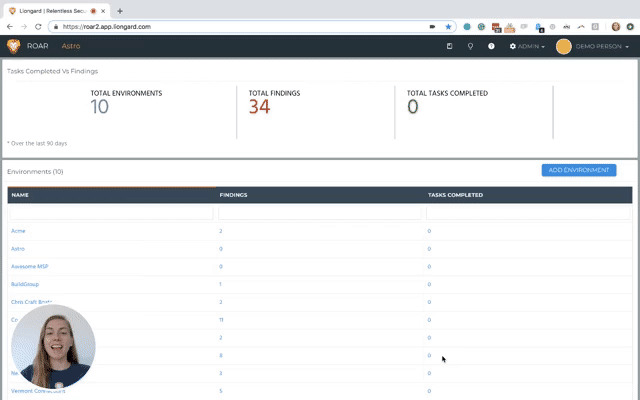 Rather than wasting engineer's time with report request, Roar's integration with ConnectWise Manage enables rapid review and reconciliation against Agreements and the value directly from the latest Inspection. This ensures you're continually billing the correct amounts to maintain profitability. In addition to our pre-built Global Metrics, MSPs can create their own and unlock the enormous value in Roar's automated documentation. You can track individual counts or create lists that matter most to you. With some simple queries, the entire Data Print is your oyster. Results show up the associated System across all Environments, and you can use the timeline to review trends. Any Metric that's created also appears on the cross-system Metrics tab for rapid account management review.